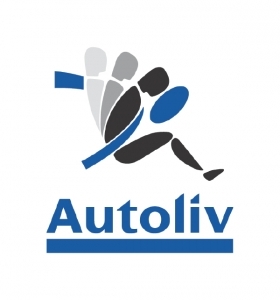 STOCKHOLM – Autoliv Inc., the world's largest producer of airbags and seatbelts, reported first-quarter pretax earnings on Wednesday which were slightly higher than forecast. Autoliv announced a pretax profit of $240 million, a rise on year-on-year figures from $179 million in 2010 and higher than the $235 million seen in a Reuters poll of analysts. The Swedish company said in a statement that it expected sales to rise this year by around 15 percent, better than earlier forecasts from the auto supplier of around 10 percent. Autoliv kept its operating margin forecast of 11.5 percent for the year. Earlier this month, Autoliv announced the start of construction on a new $10 million (65 million yuan) seat belt plant in Nanjing that will replace the company's existing factory. The 66,000 square meter facility will be 50 percent larger than the existing plant. When the factory is finished, it will employ 800 workers, up from 600 employees in the existing plant. Customers include Shanghai Volkswagen Automotive Co., Shanghai General Motors Co., Dongfeng Peugeot Citroen Automotive Co., Chery Automobile Co., Geely Automobile Co. and SAIC Motor Corp. The Nanjing project is part of a larger corporate expansion in China. In December, Autoliv announced plans to expand its electronics production by 50 percent. In March, the Swedish safety equipment producer said it would increase manufacturing capacity in northern China by 25 percent. Autoliv's 10 Chinese facilities employ 5,500 workers. China generated 11 percent of the company's revenues in 2010, up from 4 percent three years earlier. Autoliv ranks No. ﻿28 on the Automotive News Europe list of the top 100 global suppliers, with sales to automakers of $5.12 billion in 2009.